Former interim-President John Engler is gone, but he left Michigan State a parting gift in the form of another scandal. EAST LANSING, Mich. — Former interim-President John Engler is gone, but he left Michigan State a parting gift in the form of another scandal. FOX 47 News asked the governor what she plans to do about it. 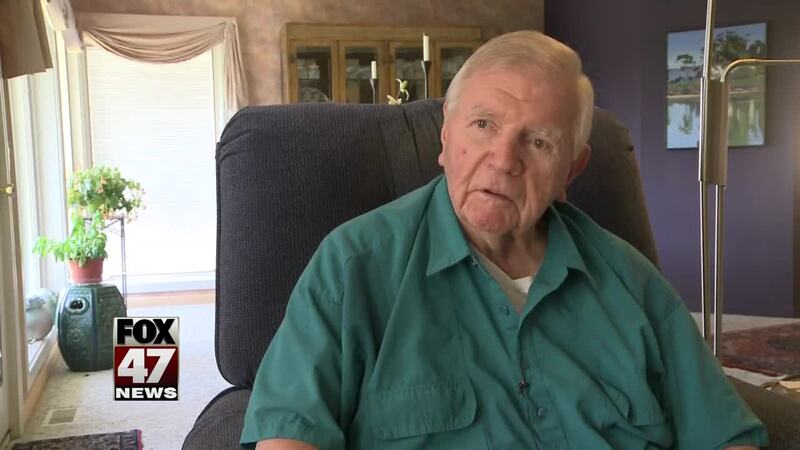 When MSU Trustee George Perles resigned in November, the school wiped out $200,000 he owed. The Detroit Free Press reports it was part of a deal Engler crafted to get one of his supporters appointed to the board. Gov. Gretchen Whitmer said on Monday that she couldn't talk about it. "I want to understand what the repercussions are under the law and I am not able to weigh in on a more substantial way right now," Whitmer said. That's what the governor said when we asked her if her administration plans to investigate why Michigan State agreed to zero out the $200,000 Perles owed. The money was part of a donor agreement he signed in 2007 to give half a million dollars toward the construction of the George J. and Sally A. Perles Plaza at the entrance to the football building. The Detroit Free Press report cites anonymous sources saying Engler gave the order to clear the debt. The idea was that Perles would resign before Republican Gov. Rick Snyder left office, and Snyder would appoint a pro-Engler board member to replace him. Snyder chose Nancy Schlichting, a health care executive with no connection to MSU or Engler. Whitmer told us she is aware of the report and wants to know the truth. "I was concerned about that report, any jockeying that is going on for political purposes, I think that is something that the public should understand," Whitmer said. Michigan State Trustee Joel Ferguson said the report is bogus. MSU Administrator Denise Maybank refused to talk about it when we asked her. Perles cited health reasons when he resigned. He has Parkinson's disease and had not attended many trustee meetings over the last few months. Engler resigned last week after the board threatened to fire him. Michigan State put out a statement that does not say much about the situation. It says donor records show that the Perles account was closed last May, and that donor pledge documents indicate the pledges are not legally binding.